Stay: We are building our database of family friendly accommodation on the Limestone Coast. In the meantime, if you don't see anything that suits, for more options, check out homeaway.com for some great rental options. Visit: From Robe and Beachport, to Naracoorte and its spectacular caves and mega fauna relics, there is so much to experience on a Limestone Coast family holiday. Float in the salty Pool of Siloam, discover the area's volcanic past and visit the Blue Lake in Mt Gambier. Learn more about Australia's first Saint and visit the Coonawarra wine region too - many cater for children. 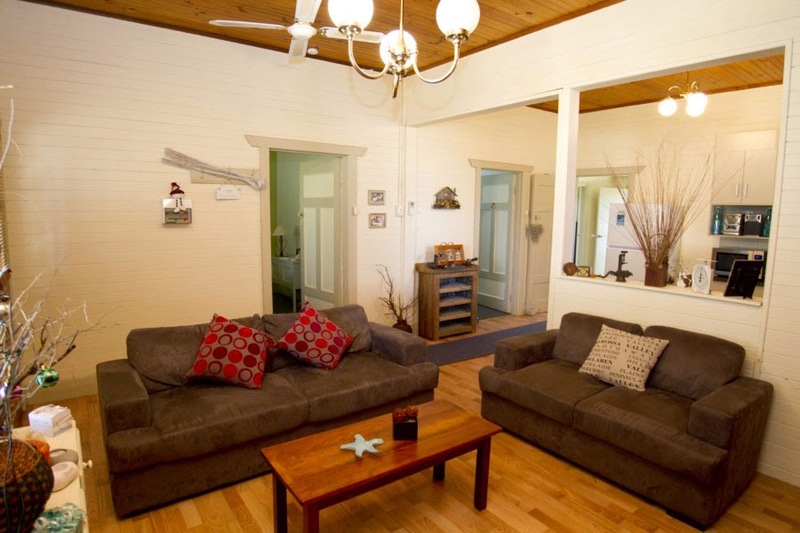 A relaxed and comfortable beach house holiday, with heaps of creature comforts, that won’t break the bank. Anderls Beach Cottage is located in the quiet coastal hamlet of Beachport and is walking distance to shops and beaches. With 3 bedrooms and a large yard, is has been set up with the whole family in mind – from the cubby house in the back yard, to the coffee grinder and glad wrap in the kitchen, this is your home away from home. Learn more about Anderls Beach Cottage.